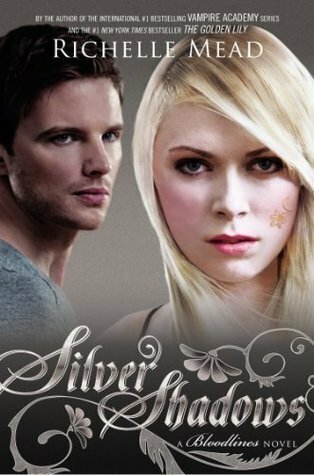 Since I was late to start this series, Silver Shadows was the first book I actually had to wait for. I had to wait about a month, and it was torture! (Don't hurt me, guys! Lol). But I would say it was worth the wait. I was struck by a few things about this book. First of all, the horribleness. I don't want to give away spoilers and talk about what happened, but a lot of it was simply horrible. No other way to describe. And what got me the most was that Richelle Mead didn't make it all up I think -- there have probably been similar things done to people in our history. And THAT is what destroyed me. I love the way that Richelle Mead took the common phrase "things fall apart" and turned it around. (I know, this started in Fiery Heart, but it continues in this one.) That phrase is very passive and submissive, suggesting that things will go badly and there is nothing you can do about it. But Sydney and Adrian disagree -- the center WILL hold, they tell themselves. Because they will make it hold. They have turned themselves from victims into fighters, and I love that. Of course, Richelle left us with a BIG cliffhanger for the final book in the series, and now I have to wait it out for months and months like everyone else...*sighs*. In the meantime, I will try to get the Frostbite movie going, so I can get a glimpse of Adrian on the big screen. If I Stay Tour Recap and GIVEAWAY!